For me, there is no theology without lived context – for me, that experience is the mountains of East Tennessee. 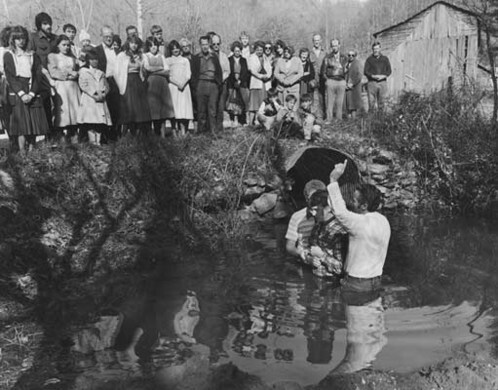 For decades, Appalachian scholars, activists, and laborers have been fighting for justice where little has been found. For too long the cries of Appalachian peoples have fallen unheard to the social structures that keep them, as it were, ‘in their place,’ that is, powerless, voiceless, worthless. Appalachians, however, have not lost faith that God lives on the side of justice and of human dignity. Appalachians continue to fight and to endure, proclaiming loudly that the world is not as it should be, that the institutional violence of officers of the law acting as coal company enforcers, of the coal companies themselves, of the government which supports them, is a status quo deplorable to the divine, which cannot and should not be allowed to continue unaltered. Appalachia is a land of growing diversity. The voices that express its situation continue to multiply. It is not only rural valley and coal camp; it is inner city and factory. Appalachia is white, black, Latino, and myriad others. Appalachia is rich and poor, native-born and foreign-born, straight and queer, male and female. Some have said that Appalachia is ‘America,’ in many regards, but, if this is to be true, it is an ‘America’ whose promise and whose ‘dream’ has been destroyed – leaving a people forgotten, a people ravaged, or worse, a people pitied. But they are not a people homogenous. I speak for myself, and what I hope someday to be a gathering chorus of Appalachians, that understand that God’s word has long been received from the mountaintop, that mountains have long been sacred ground. My theology is one based in the affirmation of a future in which Appalachians speak for themselves and act for themselves, one in which they are not merely relegated to being the helpless “benefactors” of outside economic “development.” My theology is one that must intrinsically open itself to hear that cry and accept the option of life, of personal agency, and of basic dignity for which Appalachia has so long struggled, and which for so long it has been denied.